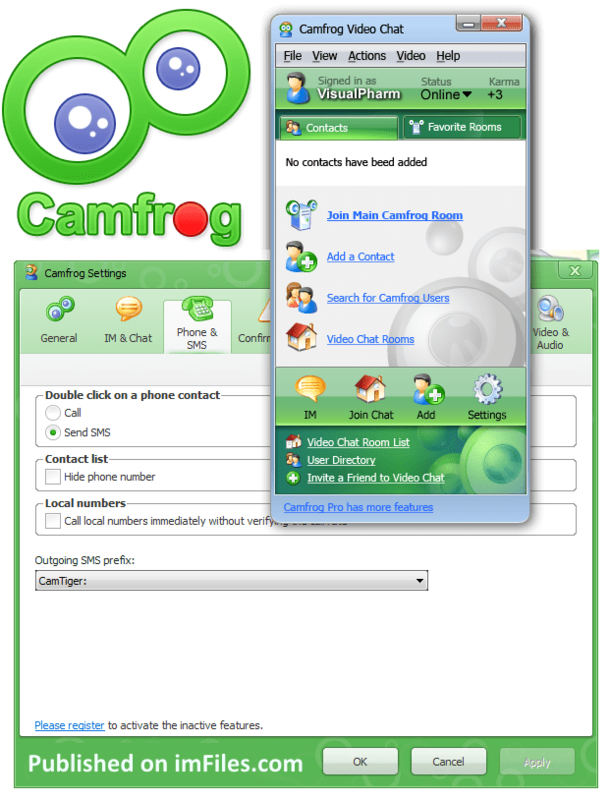 Camfrog 6.7 is the video chat program for people to chat online in chat room where you can use video and text. – Fully re-designed Rooms Browser – Now browse by rooms that are near you, that are the most popular, have the most webcams, are favorited the most, or browse by interest tags! – Stickers can now be used in Instant Messages – Express yourself using stickers and have more fun.